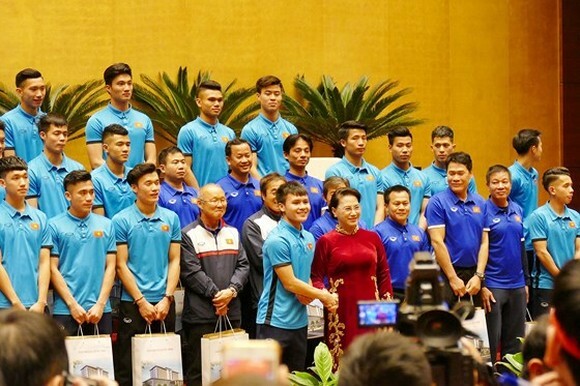 Vietnamese National Assembly Chairwoman Nguyen Thi Kim Ngan yesterday had a meeting with the Vietnamese Under 23 footballers and head coach Park Hang-seo at Dien Hong Hall of the National Assembly House in Hanoi. 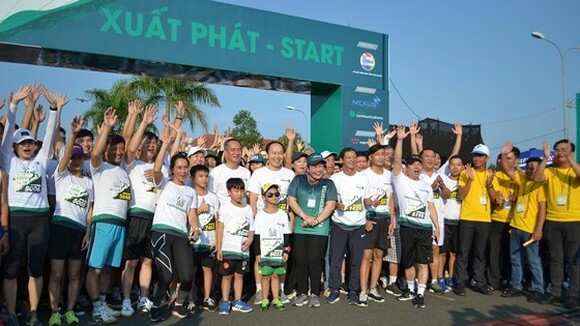 Attending in the event were Deputy NA Chairperson Do Ba Ty, Minister of Culture, Sports and Tourism Nguyen Ngoc Thien and members of the Standing Committee of the National Assembly. 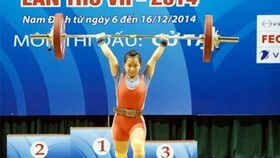 Chairwoman Nguyen Thi Kim Ngan expressed her pleasure at success and achievement of the national football team and coach board as they brought the silver medal and Fair-play award home at the AFC U23 Championship. The leader appreciated highly efforts of the national team as the young footballers defeated strong competitors to enter the final round as well as had beautiful performance under the unfavorable weather condition in Changzhou Olympic Sports Center. The national team received supports of millions of red-clad Vietnamese fans and international football lovers, and really becomes champions in heart of Vietnamese fans as the first Southeast Asian country entered the final of the AFC U23 championship, added she. 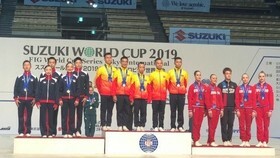 Speaking at the meeting, coach Park Hang-seo was on behalf of the national team thanked for the welcome ceremony of NA leaders, saying the U23 football team received congratulatory letters from the Vietnamese Prime Minister and that was a meaningful encouragement and motivation for the team.